Hair Club New Orleans is located in a 5 story gray stone building. There is an American Flag on top the building. PARKING: Do not park in reserved parking spaces. IMPORTANT NOTE: We are not on the same side of the Interstate as Lakeside Mall. I have enjoyed my visits. Brittney has been great and has been very helpful. Thank you! When I heard that Hair Club was servicing women, I knew it was the answer to my prayers. I'd been wearing wigs and hair pieces that weren't natural so I needed so different. I've been here over two years and I'm not going any where. The staff make you feel at home and are very curtious. I recommend them to any one who's in need of getting the natural hair look. i have been a club member since 2003 and have been a very satisfied customer, the staff is very friendly and treat me with the upmost respect,but more importantly they are highly professional in thier service and make you feel like you are the only client,especially CELESTE,she is a most competent stylist and give her best every time. ms DEBBIE and LAURIE are always friendly and makes you at home. Staff is excellent. They're always efficient and very professional. I love the staff. The overall customer service at this office is good. The stylists are good and professional. Have been a member for 12 years and wish I had made the move sooner. The very first time I got my new hair, my wife actually passed me by at the hotel where we were staying..it was that much of a positive change. The staff is always wonderful to work with and go out of their way to handle any request I may have. Great location. Who could ask for a better place to style and party. I am so thankful that Hairclub is in driving distance from where I live. Having a full head of hair has given me new confidence. Hairclub employees and stylists are friendly and professional. Service is excellent. Employees are all nice. I recommend my stylist Joey who is does a great job. I HAVE BEEN A CLIENT OF THE METAIRIE, (NEW ORLEANS), CENTER FOR NEARLY 14 YEARS. I WORK IN THE OIL AND GAS SCHEDULE AND HAVE A WORK SCHEDULE VERY FAR FROM NORMAL. IN SAYING SO, MANY THANKS TO SUSANNA, AND JONELL FOR ALWAYS FITTING ME INTO THEIR BUSY SCHEDULES. ALSO, TO MS. DEBBIE, AND LAURIE WHO HAVE BEEN THERE SINCE DAY ONE. MY JOURNEY WITH HCM STARTED WHEN A FRIEND OF MINES WHO WORKED FOR THE SAME COMPANY AS ME. WE WERE AT A COMPANY FUNCTION AND I DID NOT RECONIZE HIM. HE HAD THE COMMON MALE PATTERN BALDNESS, AS WE ALL DO. HE TOLD ME HE WENT TO HCM. I THEN LATER SAW AN INFORMERCIAL LATE AT NIGHT. MADE A PHONE CALL AND SCHEDULED AN APPOINTMENT. NOW, HERE WE ARE 14 YEARS LATER. MY CURRENT STYLISTS IS JOEY, AND AM VERY SATISFIED WITH HIS PERFORMANCE. I WAS AT FIRST A BIT APPREHENSIVE A GUY STYLIST, BUT JOEY ALWAYS SEEMS TO EXCEED THE EXPECTED. THANKS JOEY, AND THE REST OF THE STAFF AT NEW ORLEANS FOR PROVIDING US WITH YOUR SERVICES. KEEP UP WITH THE GOOD WORK AND LOOKING FORWARD FOR THE NEXT FEW YEARS. HAVE A GREAT DAY. The staff at New Orleans HCM is friendly, professional and courteous. I have been a client for over 10 years ,visiting on a weekly basis, always having a enjoyable experience. My stylist is very kind and concerned about me and my hair. When I have hair concerns, she addresses them as if they were her own. I appreciate the company having ths vision of providing this service. I did not feel complete without my hair. Now I do! It's excellent! The service is always good. I like this office. Started coming here 19 years ago-time has flown by. Always have experieced efficient service. I think everything is great. I am taken on time for my appointments, and my stylist Paula cuts my hair great every visit. I have been with the New Orleans location of Hair Club for Men for several years. In the past I have felt the service, at times, was less than optimal, however with the CURRENT management I could not be more pleased. I believe they make a genuine effort to provide the best possible service. As with any business a qlitch will occur, but they go all out to make a concerted effort towards correction and make me a satisfied customer. Services are provided promptly and of the highest quality. The staff is superb; friendly, competent, and caring. I could not be more pleased with the current management and staff. Sincerely, Robert N. LeRay, Ph.D. Under new the management the atmosphere has been great I'm loving it! Great Service by a dedicated dedicated team of professional stylists and administrators. Friendly, knowledgeable and discreet -- I give them an A in people skills. I have been a member since 1994 of the New Orleans location and I have been extremely pleased with the service my hairstylist, Laurie, my sales person, Susanna, and the entire team! 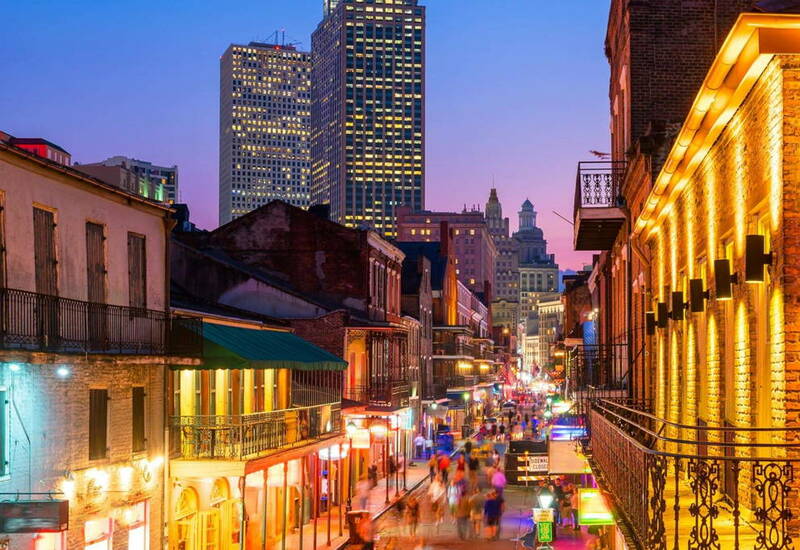 The New Orleans location is most likley the best in the nation? It's is a great office. I enjoy my visits here. I'm a 10 year plus client in this office. Service and customer care is excellent. Awesome people. Lots of fun. Very professional. 18 year happy client. This is to express my gratitude and appreciation to the New Orleans Hair Club salon. I moved here approximately 6 months ago and had decided after 13 years of wearing a system that it was time to remove the system. The team here has been and are the most friendly and considerate I have worked with over the years. I immediately felt at home here and very comfortable on working thru the transition with them. Susanna represents the ultimate manager in getting to know each client, how to best support them, and advise and support them. She has made a point to connect with me each and every visit discuss options and so on. The center itself is the most well established and maintained or the 3 centers I have obtained services from. It has truly been a pleasure interacting with this team and receiving services from this center! Thank you greatly for superior service! Awesome people at the HCM! I love hair club. It gave me my self esteem back. I glad I decided to try hair club. Thank youso much guys. Love you much. The highly talented &amp; well trained staff &amp; stylists do their best to make me feel &amp; look my best! Thanks &amp; Merry Christmas! The hair club is awesome! I am totally satisfied with my results so far. The staff is amazing! They really do care about you. They make you feel so comfortable and at home. They even know you on a first name basis! I am so glad I made the decision to go to the hair club. They really know what they are doing. And they have multiple options for men and women's hair loss. The extreme hair therapy products really do work! The crown portion of my head was thinning badly. The products have made that section grow back! I started loosing my hair when I was 21. Now I'm 31. I looked into getting a hair transplant twice in the last ten years. Bosley wanted to send me to Houston . I did not like that idea. When I found out hair club did everything in their New Orleans location I was sold! I think too many men don't pull the trigger because of the cost. That is what I did. I am more than satisfied with my hair transplant! You guys need to remember that this is a lifetime investment. It is part of you!!!! It's not like buying a new car that will depreciate as soon as you drive it off of the lot. You need to go to the hair club if your hair loss is bothering you. Don't wait another day! GO TO THE HAIR CLUB!!!!! I've been a member for many years. I have nothing to say about the service except excellent. From booking appointments to the actual service, it's done very well. They will work with you as much as they can. Laurie, what can I say...don't leave...:( Janell...is this lady ever not smiling and friendly? :) The only reason I give only four stars, well, Suzanna knows this one, is I just wish there were more Service Centers around the state. Great work to all at HCM. The New Orleans HCM branch is a cut above the rest. I have had the pleasure to experience the talents of each stylus. All are very professional, courteous, and committed to the customer. If you have any problems or concerns the staff is willing to address these concerns to ensure that you are content and happy before leaving. I am very pleased with the service I receive from the New Orleans HCM team. My hair has been thinning out for years. I recently lost a great deal of weight and had a picture taken. My first impression was I am thin but I wish I had more hair. I had heard about Hair Club for years but didn't put much thought into it until that day. I can't tell you how happy I am with my new head of hair. The entire team at Hair Club New Orleans are so friendly and extreemly professional. I want to thank Debbie Marino for being so wonderful and giving me a great consultation. Suzanna Evangelista is just about the best advisor anyone could have. She is a great listener and has been extreemly helpful with all of my concerns. I can't say enough about how well managed the whole location is. Thanks Hair Club New Orleans. Laissez les bons temps rouler! I once was sad but now I am HAPPY! Deciding to be a member of Hair Club has done wonders for my life. There are no words that can truly express the appreciation I feel for the staff at the NOLA center. The moment you walk into the center you know that you are surrounded by people who care about YOU. Celeste, my hair stylist, is AWESOME. She will NOT allow me to leave her chair until I am 100% happy with my hair. If you are sad about your hair, go see Susanna at the NOLA center. She is the GREATEST membership advisor on Earth. Thanks Hair Club for bringing happiness back into my life. The hair club is most efficient place to go stylist are fantastic.They are most friendly staff and glad I made right decision. I've been wearing hair for over 20 years and have seen everything out there. Hair club in Metairie is the best bar none. Gret people and great service. I've been a member of HairClub a long time before the NOLA center was open. I've travelled to Houston in the early days and during Katrina, I visited the center in Nashville. The New Orleans center ranks right up there will all the other centers. More importantly, the NO center makes all its clients feel like they are working with family during visits. I cannot say too much about the professionalism of the local center. It's definitely one of the best. I have been a member of HCM for over 10 years and my Metairie HCM has always been there for me when I needed them. The staff knows me by name and I feel like family with them! Susanna E. and Laurie R. are the greatest! I love this place and I promise you that not only will you love them too but you will love what their services will do for your esteem and appearance! I have been a client for 8 years and have been nothing but impressed with the service and professionalism. The effort my stylist, Laurie, puts into each hair cut is outstanding and blends seamlessly with my existing hair. I look forward to being a longtime client. i've traveled to NO twice and needed a touch-up at this center, good service.